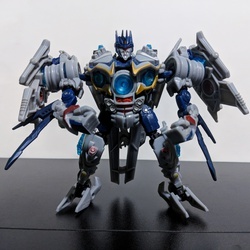 This is an interesting iteration of Soundwave that makes a lot of sense. A communications satelite is much more aligned with the character than all its other vehicle representations. 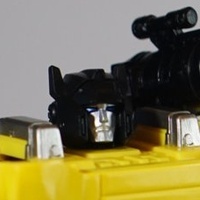 That said, as with all the bayverse cybertronians I have a hard time identifying the character by the head sculpt. 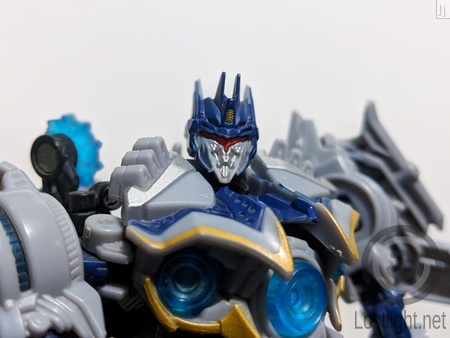 I guess the single V shaped visor should be a tell sign plus the 4 spikes on the head. 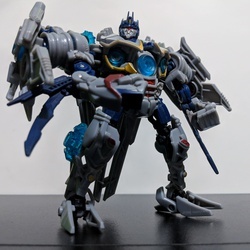 The sigure is too stubby and short though, at least for Soundwave, it has a good amount of plastic for a deluxe for sure, but the distribution is to the sides and none on the legs. Maybe this would have worked better as a voyager.